Tuesday the 8th July, saw the launch of the UK Space Agency 3u cubesat called UKube-1 built by Clydespace in Glasgow, what makes this satellite even more exciting is the fact it includes a set of Funcube-2 boards covering both STEM activities and a transponder for amateur use meaning there’s something new to demo to people and use at the same time! 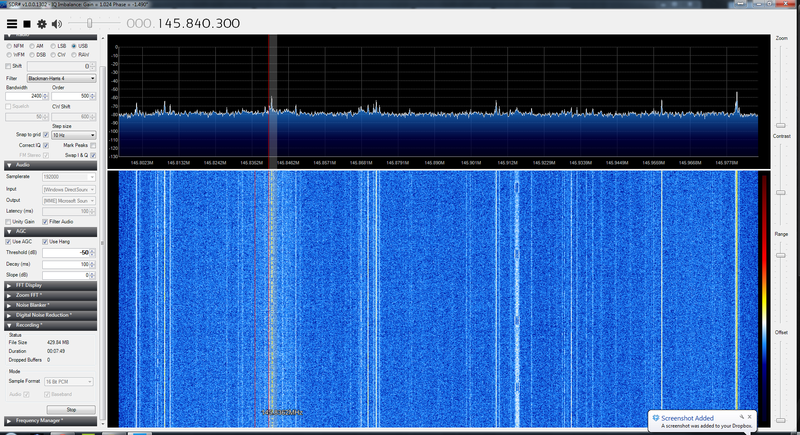 19:16 UTC was the first UK Pass and it turned up on-time sending its CW Beacon and then BPSK telemetry both super strong signals. It then did another pass at 20:58 UTC which was much higher and again using the Funcube Dongle Pro Plus was able to see both the telemetry and CW beacon transmitting away. It’s great to see the 3u cubesat now in orbit and look forward to having a QSO via it in the future once it’s been fully commissioned.